Who knew Microsoft was so giving when it comes to fresh fruit? 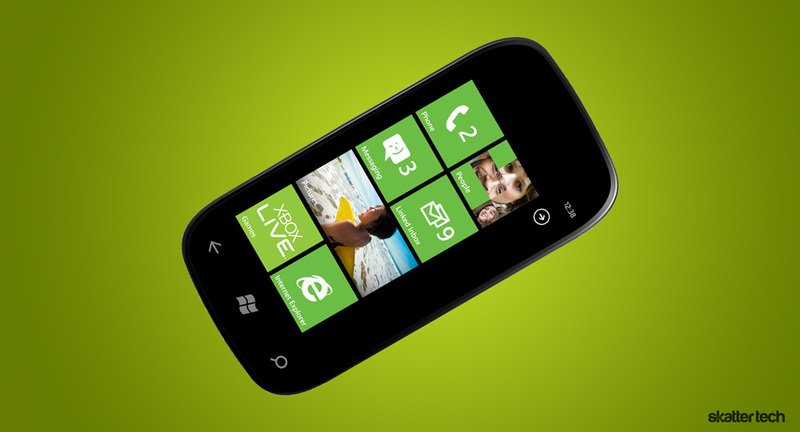 Yes, the company has released Windows Phone 7 Mango to manufacturers. This is a highly anticipated update to Microsoft’s mobile operating system. The new features only intensify the pressure of competition. Microsoft first unveiled the Mango update in May, presumably with the hope to give Android and other mobile operating systems a run for their money. Mango brings multitasking to the Windows Phone 7 OS. Though a little late to the game, Microsoft’s user interface for it looks solid and closely resembles that of webOS. Pressing and holding the Back button reveals a set of adjacent windows which the user can swipe through to get back to a recently opened app. Aside from multitasking, Conversation View arrives in the email app, which essentially organizes emails into long discussions. Threads tie together all forms of communication — text, IM, and Facebook Chat — into a single, handy interface. The web browser gets an upgrade to Internet Explorer 9 for better performance and HTML5 support. And, though Microsoft does not consider this a feature worth mentioning, turn-by-turn GPS with voice guidance comes standard in Mango as well. The Windows Phone team has done a fine job with Mango and the operating system overall. They dared to release this in a world already overflowing with Android and iOS devices. So far, feedback has been almost entirely positive and a loyal following is continuously growing. Plus, the success of Windows Phone 7’s Metro UI design has driven Microsoft to spread it across more of its products like Xbox and even Windows 8. The main feat Android has achieved that Windows Phone still has not is an abundance of apps. Still, in my humble opinion, I think this OS can certainly rival that Google software. With manufacturers probably getting Mango ready as I type, expect new Windows Phone 7 devices pre-loaded with the update to hit stores this fall. Want to beat Android? Be MORE open source, not less. FAIL. I’d like to see a real Linux Smart phone. Maybe based on Linux Mint.